Since making his OSCAAR Pro Midget debut, there has been no stopping Craig Pitchell as he was fast from the start, en route to placing eighth in the year-end standings. Pitchell made his series debut in the fourth event of 2017 at Flamboro Speedway, and showed speed immediately. He made his way to the front in the feature in the opening 10 laps, en route to scoring a third-place finish. He was able to carry the momentum forward to Peterborough Speedway a week later, scoring a fourth-place finish in the first feature. Ultimately, the second event saw him fall out of the race early, en route to an 11th. Making his first trip of the season to Grand Bend Speedway, the issues that plagued him at Peterborough did not return and he was able to score a pair of top-seven finishes. The next stretch of races proved to be great for the driver of the No. 31k ASA Fabrication, MDB Race Cars, The Merit Group Insurance Brokers, Performance Unlimited, and Fowler Metals Pro Midget. 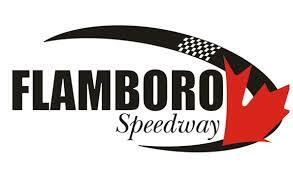 He scored a third at Sauble Speedway, before a pair of podiums at Flamboro, including a season-best second. Returning back to Grand Bend, he was able to carry the momentum to a solid sixth, followed by leading the opening five laps en route to a third at Flamboro. He then completed the year with a fifth at Peterborough, despite going for a spin on Lap 15. For the success this year, Pitchell says thank you to not only the sponsors, but also car owner Brent Kemps. On behalf of OSCAAR, thank you for joining the series and congratulations on your success. We look forward to seeing you in victory lane in 2018.